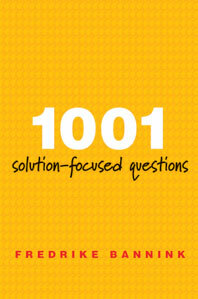 1001 Solution-Focused Questions - Description | W. W. Norton & Company Ltd.
An invaluable resource for conducting successful solution-focused therapy. Drawing on nearly 30 years of clinical practice, Bannink compiles solution-focused questions and protocols that are formulated to elicit the client’s expertise on the issue(s) that brought him or her to therapy. Categorized for general use and for use with specific types of clients—such as children, couples, and families, and those who have suffered trauma or who might benefit from medication—the questions demonstrate how the precise use of language is an important tool in solution-focused interviewing. Exercises and homework suggestions invite self-reflection and experimentation with the solution-focused model, while case studies illustrate the model’s effectiveness with a wide variety of clients. 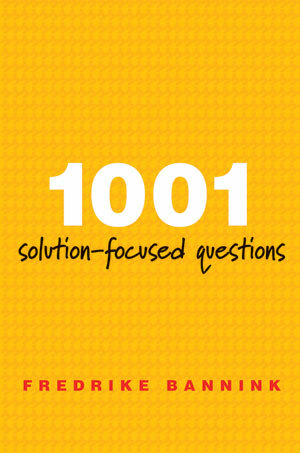 1001 Solution-Focused Questions equips clinicians with a toolbox full of ready-to-use approaches, so they’re prepared to provide support as clients find their own way to a better future. Helping readers focus on well-being and optimal functioning in many areas of life. A step-by-step guide to conducting successful solution-focused therapy for survivors of traumatic experiences. A step-by-step guide to conducting successful solution-focused therapy for depression. A step-by-step guide to conducting successful solution-focused therapy for common anxiety problems. Resiliency-focused approaches to managing trauma.